Take your photography to a new level with EOS magazine. Written specifically for the Canon EOS user, each in-depth issue will show you how to take control of EOS and make the most of your camera. Don't worry, there's a mag for that. If starting a subcription seems as scary as a blind date, then rest assured we've got it covered. 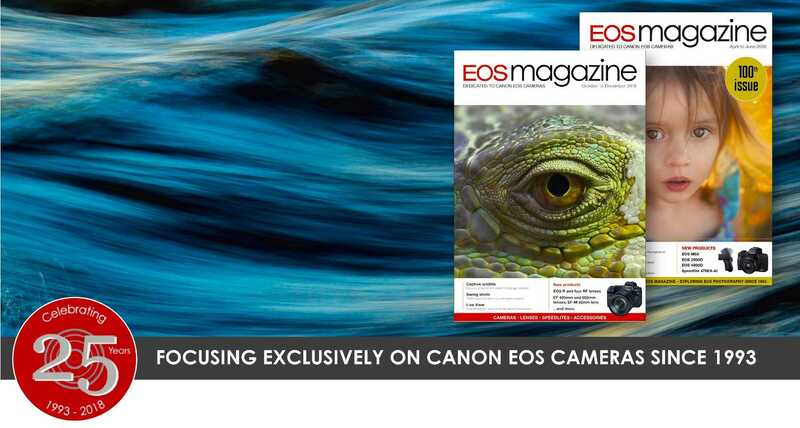 EOS magazine is the dedicated magazine for everyone with an EOS camera. Available via annual subscription, you will learn how to take control of your camera with the help and advice contained in each issue. Whether you have bought your first EOS DSLR or have been using the Canon SLR system for many years, EOS magazine will teach you the skills you need to improve your photography. Photography is not all about the camera. It's all about what you do with the camera, what you see when you look through the viewfinder and how you compose the final image. EOS magazine will teach you how to see those shots, the rules to follow when composing an image and when to break those rules. Join EOS magazine today and improve your photography. You won't find EOS magazine at the newsagents – this special Canon photography magazine is available by subscription only. We guarantee you a great read – or your money back.